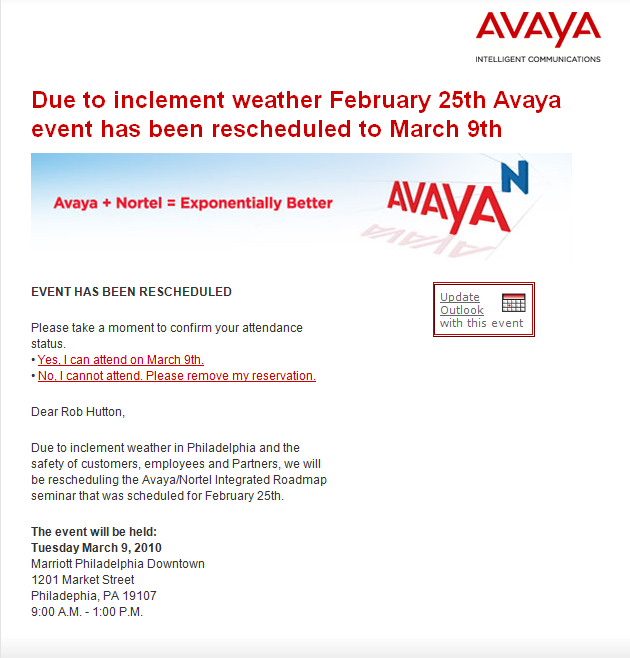 In case you haven’t heard the Avaya Integrated Avaya-Nortel Roadmap in Philadelphia has been canceled yet again due to the impending snow storm. 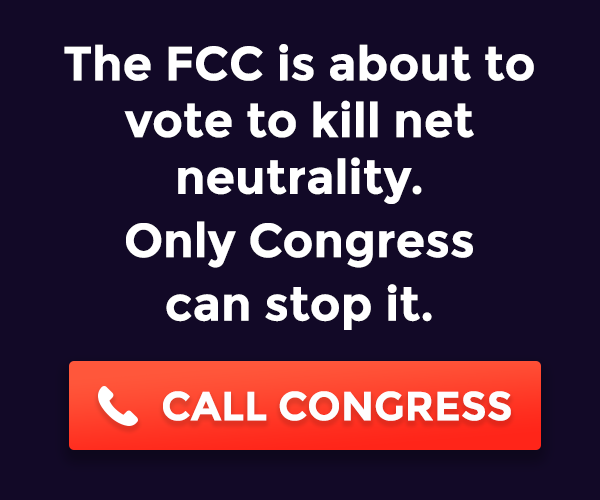 The event has been rescheduled for Tuesday, March 9th. 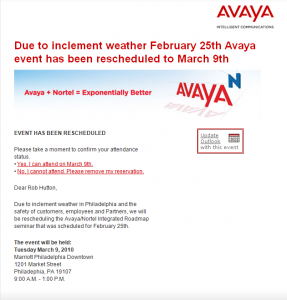 Who wants to bet that we’ll have yet another snow storm, blizzard even, on March 9th?